A few years ago, Brooke went to see a band in Rocky that her brother was thinking of booking for his wedding. She got chatting to a bloke named Will and they hit it off. 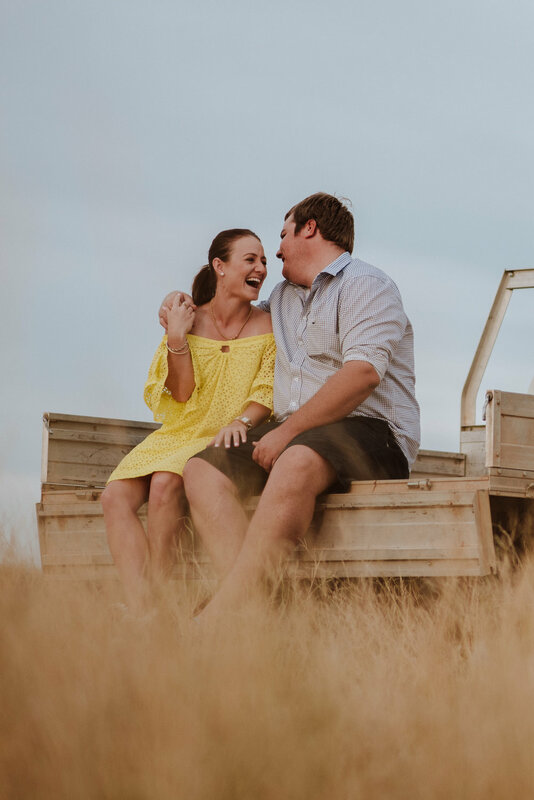 Her brother ended up booking that band for his wedding - and in just under eight months Brooke will marry the bloke she got chatting to at the bar (and yep, they're hiring the same band!). Apart from Brooke, Will's favourite things are ciggies and machinery. 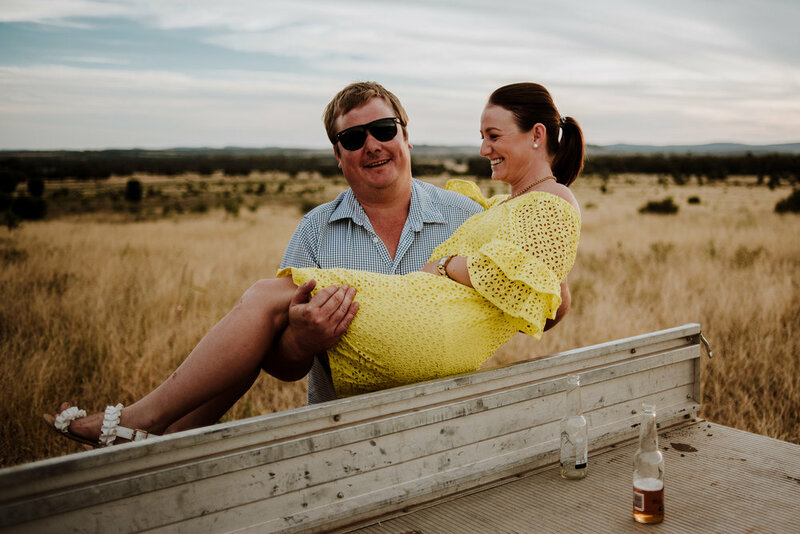 Thankfully we managed to incorporate all three of his loves into one shoot at Brooke's family property near Baralaba - with a brown snake and some beers thrown in for good measure. I'm so excited to hang out with them again in September when they tie the knot. Congratulations guys!